The NEGMC 43rd Annual Maggie Valley Car Show is this weekend! If you have been enduring the heat this summer while attending the car shows, come to Maggie Valley this weekend and enjoy cool weather and the beginning of this fall’s colors. The forecast is for sunny skies with highs in the mid-60s and lows in the mid-40s – bring a sweater. The 43rd Annual Maggie Valley Shelby Mustang & Ford Meet will be held at the Festival Grounds in Maggie Valley, North Carolina on Saturday October 1, 2016 with a rain date (this should not be needed as there is no rain in the current forecast) of Sunday October 2, 2016. Lodging may still be available at the host hotel the Comfort Inn (ask for the show discount code – NEGMC), with additional accommodations available at the Creekside Lodge, Best Western and Microtel. 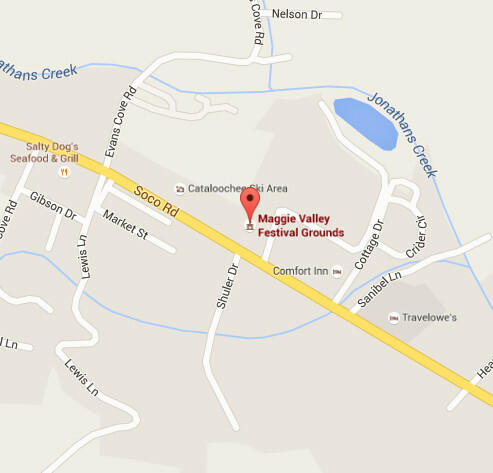 There are other hotels in the Maggie Valley area as well as Waynesville which is a few minutes north of the show site. Polish up that Mustang or Ford and join us in Maggie Valley for a great weekend.